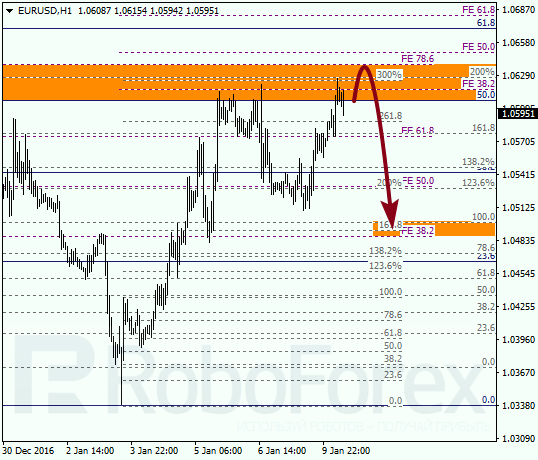 The EUR/USD pair is again testing the group of fibo-levels near the correctional retracement of 50%. If the price rebounds from this area again during the day, the market may resume falling inside the main downtrend. 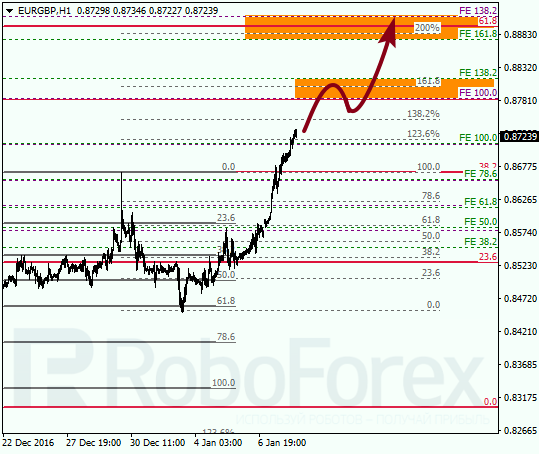 As we can see at the H1 chart, the target area reached by bulls is confirmed by intraday fibo-levels. As a result, in the nearest future the market may fall towards the group of local retracements at 1.0490. In case of the EUR/GBP pair, the correction is becoming higher. Yesterday, after rebounding from the retracement of 61.8%, the market reached a new high and continued growing faster. The main target for bulls is the group of fibo-levels at 0.8890 – 0.8860. 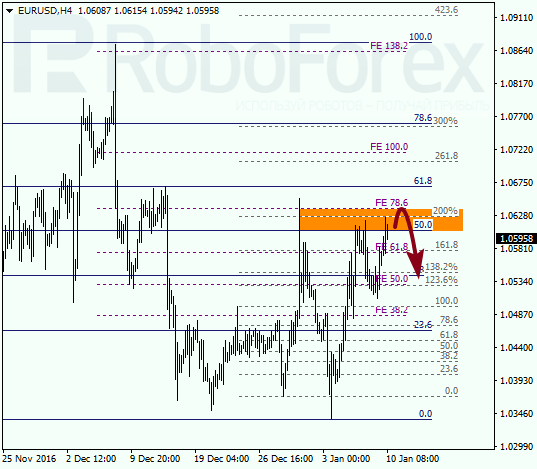 As we can see at the H1 chart, the group of local fibo-levels at 0.8810 – 0.8780 may provide resistance. If the pair rebounds from this area, the price may start a short-term correction. Later, the market may resume growing to reach its main targets.